Whenever you need help with pediatric foot and ankle concerns, treatment and surgery in Renton, Mill Creek Foot and Ankle Clinic will be available to work with you every step of the way. We know that you already have a tough job as a parent, so when you find that your child either has an injury or they are not developing the way that they should, we will be able to work with you to determine what the problem with the feet, ankles or legs might be. Some children can be born with malformations of the ankle or foot that include heel pain, bunions, flat feet or in-toeing and out-toeing. When treated at soon as possible, your child will have the chance to be able to start life out on the right foot moving forward. Leaving any sort of ankle or foot concern left untreated can actually make it so that it will be worse in the long run. Some problems can fester to the point where the only remedy will be setting up a time for surgery. 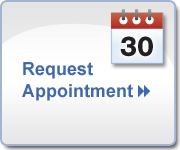 Because we only like to use invasive procedures as a last resort, you will find that making an appointment to see us as soon as possible will allow for us to intervene quickly with early treatment methods. You can count on our friendly, professional and experienced podiatrist at Mill Creek Foot and Ankle Clinic to take care of all of your child’s needs. By calling us at (425)482-6663 today, you will be able to set up an initial consultation and examination to address the concerns you have about your child. We are always here to help with any pediatric foot and ankle concerns, treatment and surgery in Renton and we look forward to seeing you soon.